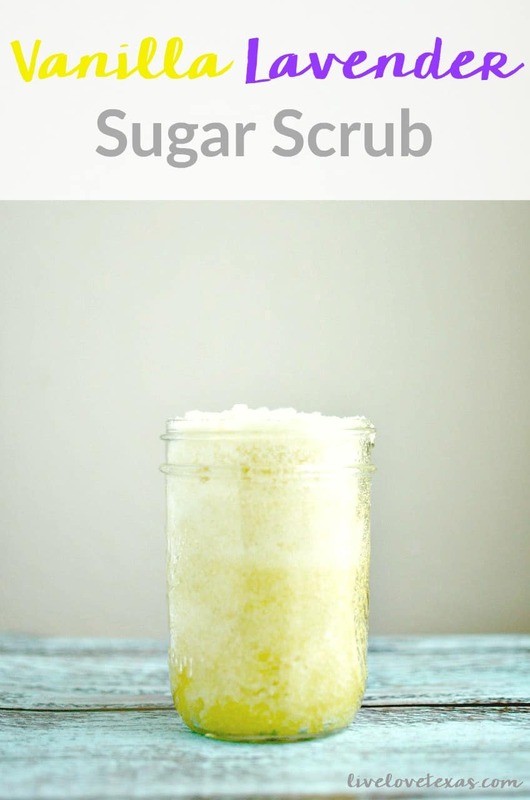 This super easy Vanilla Lavender Sugar Scrub recipe is super easy to make and will get your entire body ready for the beach! Spring may have just started officially, but here in Texas summer is just around the corner. At this time of year, everyone is showing a little more skin. No one wants to expose more of themselves without being confident their body is in picture perfect condition. Is it just me or do we all take more photos when the weather heats up? 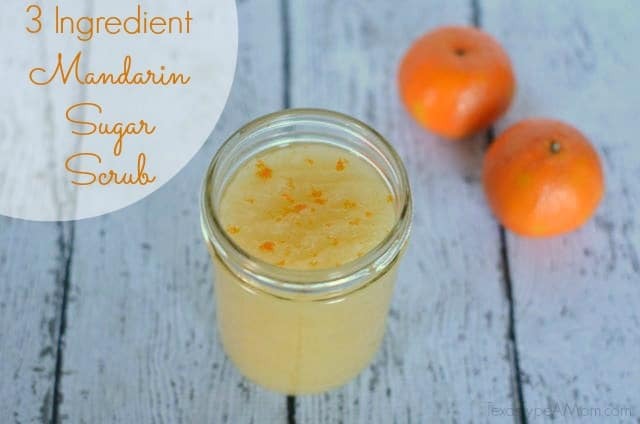 Everyone wants to be smooth and glowing for summer, so an easy homemade sugar scrub recipe is sure to get your skin primed and looking great. 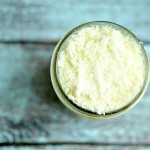 I’ve been making my own homemade body scrub recipes for a couple of years now and through a bit of trial and error, have come up with a ratio that works to create an effective yet amazingly scented body scrub. The possibilities for sugars, oils, and scents are endless! 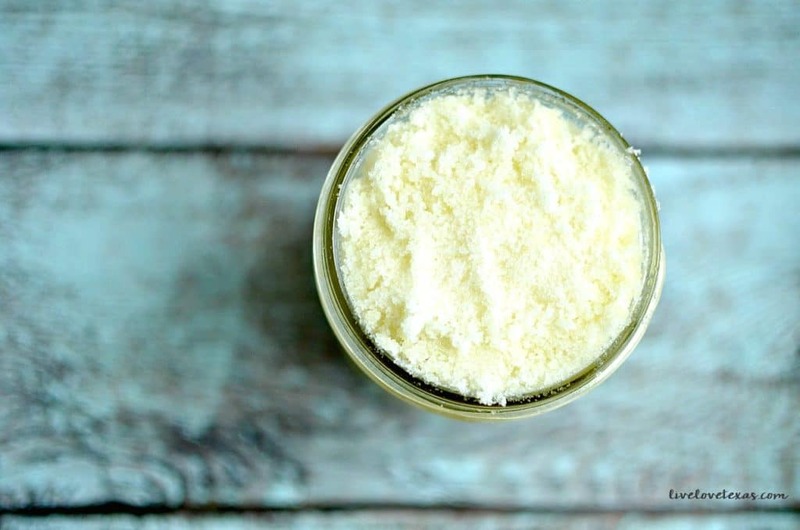 Even those new to essential oils will likely have some lavender laying around and the rest of the ingredients to make this vanilla lavender sugar scrub are probably in your kitchen right now! Add lavender essential oil and vanilla extract to sugar and stir until combined. Pour olive oil onto sugar mix and stir until evenly moist. Transfer to 12 ounce wide-mouth canning jar or desired container. 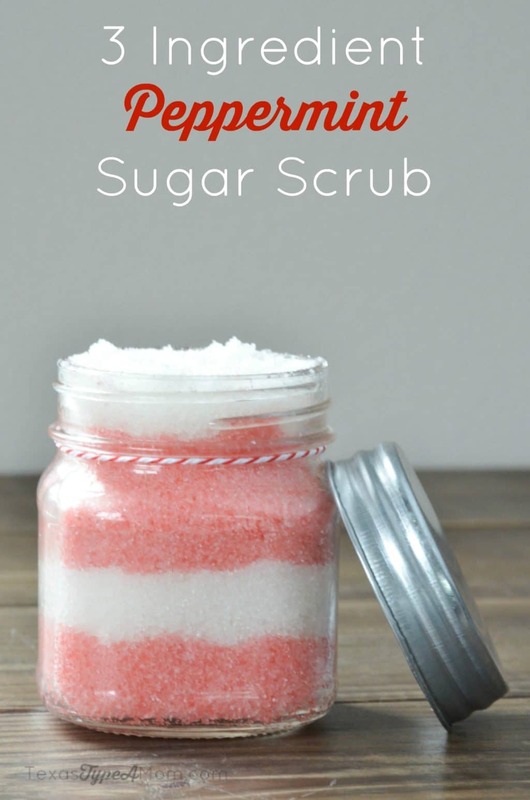 If you’re looking for more easy sugar scrubs you can make at home, check out the recipes below for a 3 Ingredient Peppermint Sugar Scrub, Homemade Mandarin Sugar Scrub using ingredients you probably already have around the house, and this Mint Chocolate Sugar Scrub.